Although his wife, two children and parents all arrived in Toronto with him in February 2016, the majority of the Darwish clan — 19 adults and children — are still languishing in Turkey, except for one sister and her family who were resettled to Brussels in November. Darwish’s brother and his wife and children have been waiting since November 2016 for their application to come to Canada to be approved. So now we have to invite entire clans? No. The war is over send them back. 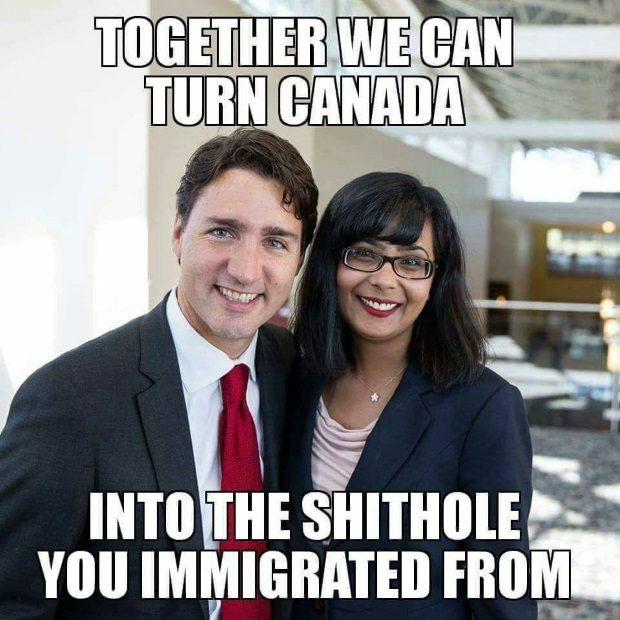 The great replacement is designed to drown Canadians in a sea of unwanted death cult “diversity”.